It’s certainly been an eventful 2008, dominated by the birth of our son Oliver in February. It doesn’t seam as though 10 months has past, this year has really flown by. I thought that it was hard work with one child before, but having a baby and a toddler at the same time is hard work, especially when I’ve got them on my own whilst Sarah is at work! I wouldn’t given them up for the world and I consider myself very lucky to have two beautiful children. 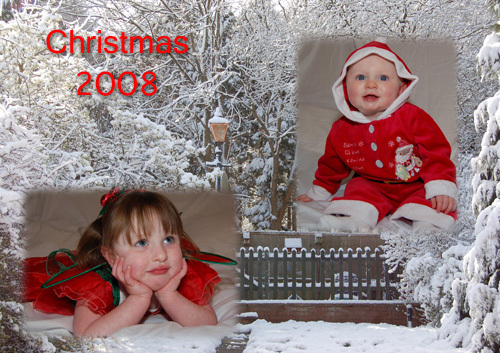 This year my donation is to The Child Bereavement Charity. I consider myself very fortunate to have two healthy young children and cannot imagine what it would be like for anyone who loses a child. I hope that my small donation will go some-way towards helping a caring family that has suffered the loss of a loved one. Why not give an additional gift to a worthwhile cause this Christmas? It just remains for me to wish everyone a Merry Christmas and a Happy New Year. This entry was posted on Thursday, December 25th, 2008 and is filed under First Aid, firstaidquiz.com, General. You can follow any responses to this entry through the RSS 2.0 feed. Both comments and pings are currently closed.